It's that time of year again where FBLA will be selling plastic army men. FBLA is participating in the Honor the Legacy, Support Our Troops campaign. Every year we ask for your help to honor our troops by encouraging students to buy our plastic army men (that can be ordered using the order form that we will sending home soon). 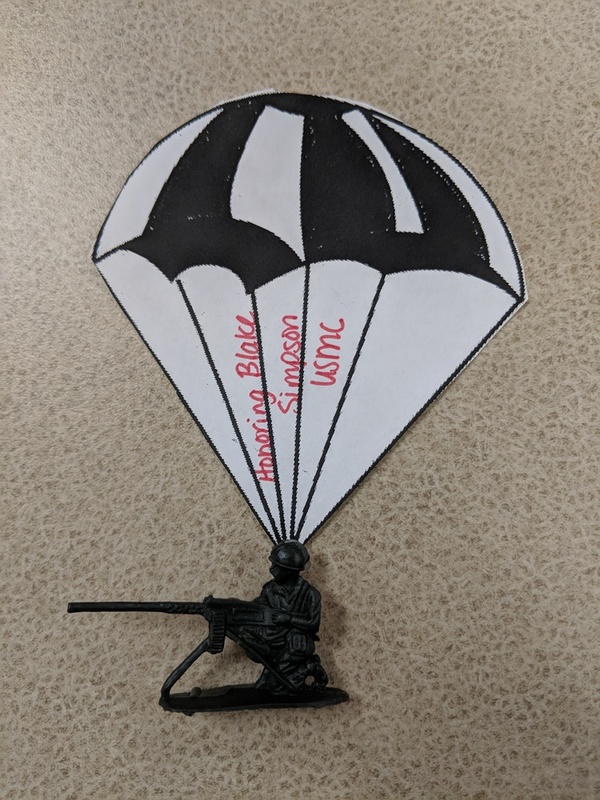 FBLA will be attaching a parachute (found in the order form). Students are asked to honor someone they know that has served, is currently serving, or the military in general by writing their message on the front of the parachute. These will be displayed in the gym during the Veteran's Day Assembly. We will get these back to the students if they put their name, grade, and teacher's name on the back (middle school will use their first hour teacher). Students will be returning the order form, money, and parachutes (already cut out) in an envelope to their teacher. FBLA high school members will be by the elementary and middle school offices by noon to collect them starting Monday. We will continue to collect those until November 6th; however, if students want to make sure that they are displayed at the assembly, they will need to get them in sooner. The money that we raise, will be donated to Operation Shoebox to purchase care packages for the troops. Also, I am attaching a digital copy of the order form and parachutes.